Marine mammals have a surprising prevalence of dental disease. One out of every five polar bears has a fractured tooth. In Pacific walruses and California sea lions, jaw joint arthritis is so bad—and so common—that many may struggle to open their mouths wide enough to eat. Southern sea otters often wear down their teeth until the sensitive pulp cavity is exposed, leaving them to chomp on spiky sea urchins with the nerves of their teeth exposed. Marine mammals live in a world fraught with natural predators and anthropogenic hazards. But scientists have largely overlooked one potentially life-threatening problem: dental disease. When veterinary scientist Frank Verstraete and his colleagues examined hundreds of marine mammal skulls from museum collections—some dating back to the 1800s— they discovered a surprising prevalence of dental disorders, many of which had likely been painful enough to affect survival. In each of the seven species they studied, they found evidence of dental problems that also afflict people. Prior to this work, no one had systematically recorded the incidence of tooth fractures, root infections, broken jaws, joint disease, or other dental defects in large groups of marine mammals. Skulls have always fascinated Verstraete, and aside from the common practice of using teeth to assess age, the oral cavity of marine mammals was relatively uncharted territory. So, more than a decade ago, he started scouting out museums that had large numbers of specimens to study. Most recently, Verstraete’s team examined a trove of walrus specimens at the University of Alaska’s Museum of the North, in Fairbanks. Among their findings, the researchers were surprised that more than 60 percent of the walrus skulls showed evidence of arthritis in the temporomandibular joint (TMJ). This affliction eats away at the bone where the jaw hinges to the skull, causing the surface of the joint to become so roughened that movement is impaired. The TMJ is of special interest to Boaz Arzi, a dental expert at the University of California, Davis and a frequent collaborator with Verstraete. Arthritis in the TMJ affects up to 12 percent of people in the United States, but the causes aren’t always clear. It’s equally unclear why walruses and sea lions develop a similar arthritis when they don’t even chew their food, says Arzi. The fact that many mammals deal with this joint condition gives researchers a broader understanding of this disease. In people, for instance, the disc that acts as a cushion inside the jaw joint may be one source of TMJ arthritis. But walruses don’t have this disc, so that can’t be the only cause of TMJ. “It’s a good ‘one health’ question,” says Arzi, referring to an approach which links the well being of people, animals, and the environment. Verstraete plans to return to Alaska, but this time his team will study the skulls of Arctic wolves. Freelance science writer Elizabeth Devitt lives in Santa Cruz, California. 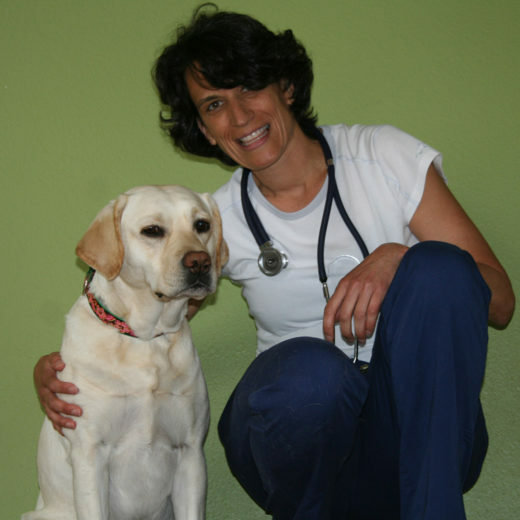 She draws on her first career in veterinary medicine to write about “one health,” the inextricable links among animals, people, and the environment. Her news and feature articles have appeared in numerous national and international outlets, including National Geographic News, Science, Mongabay, and Science News for Students. Cite this Article: Elizabeth Devitt “A Different Kind of Oral History,” Hakai Magazine, Sep 28, 2016, accessed April 21st, 2019, https://www.hakaimagazine.com/news/different-kind-oral-history/. A team of international researchers investigate interactions between the Arctic’s two main predators.